Sometimes during the holidays there are those spontaneous family and friend get-togethers. Besides the rush of trying to get my house tidy, I always love to add a little fun to the dessert table when I’m hosting people at my house. 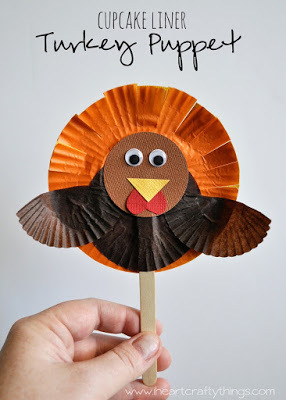 These darling DIY Thanksgiving turkey cupcake toppers are perfect for a Thanksgiving party, a casual gathering with friends, or even as treats for a school or preschool party. The best part…it is a kid-friendly craft! 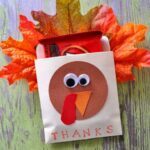 So hurry and grab your supplies and get ready for an afternoon full of family fun making adorable turkey cupcake toppers! 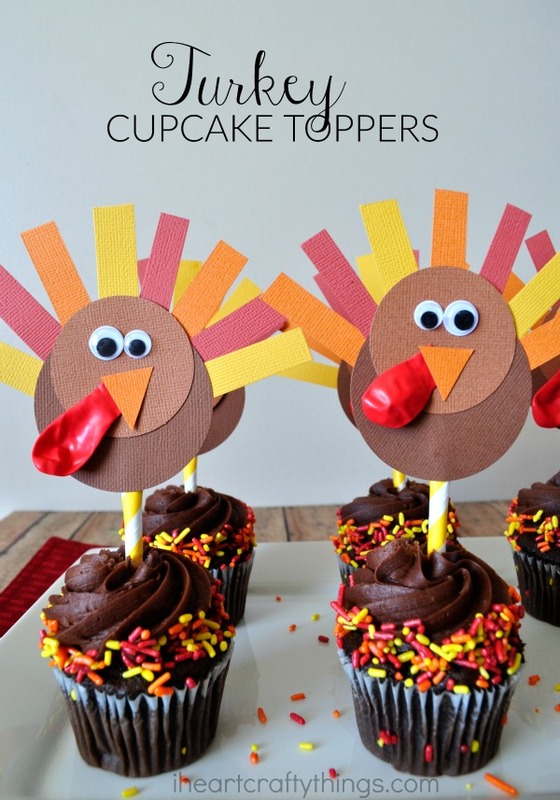 These fun turkey cupcake toppers were inspired by a set of spider cupcake toppers I saw at Ginger Snap Crafts. 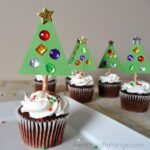 Check them out for more DIY cupcake topper inspiration! 1. Start by gathering your supplies. 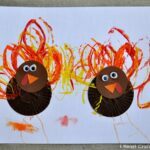 For each turkey cupcake topper you will need to punch out two 3-inch circles in brown, one 2-inch circle in brown, an orange beak and small strips in red, orange and yellow. You’ll also need half of a yellow paper straw with an inch on the end of it flattened. 2. 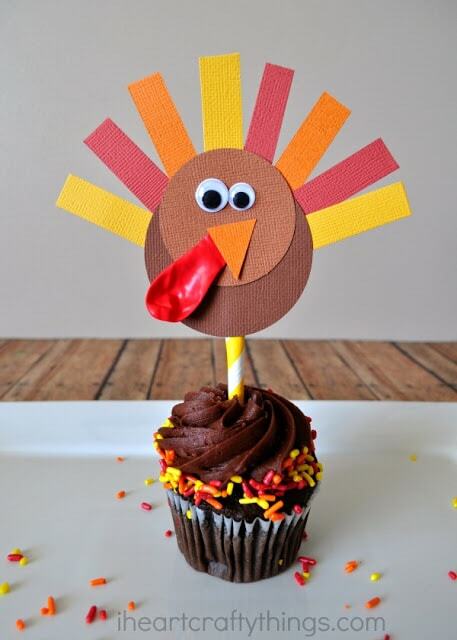 Start making your turkey cupcake toppers by putting glue on the top half of one of your 3-inch brown circles. Place the red, orange and yellow small strips around the half circle to make turkey feathers. 3. Glue down the flat end of the paper straw onto the brown circle and then place a piece of tape over it to help secure it into place. 4. 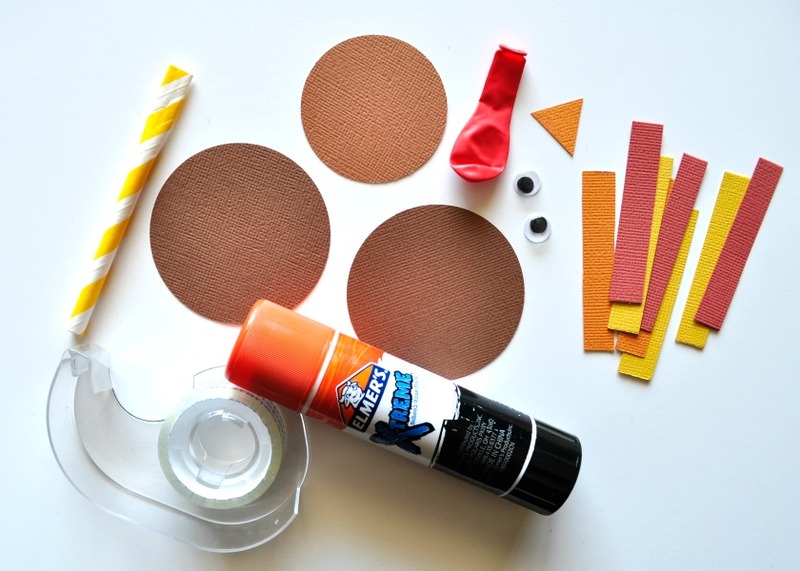 Put glue all over the other 3-inch brown circle and glue it onto the other circle to hide all the glued pieces. 5. 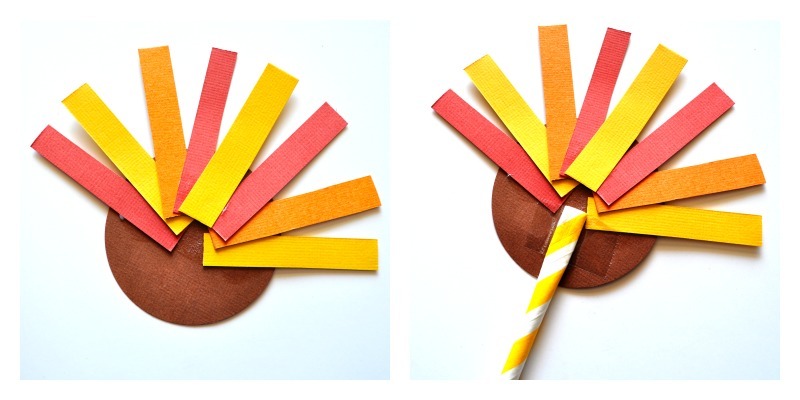 Turn your turkey over and glue the 2-inch brown circle onto the larger circle to make the turkey face. 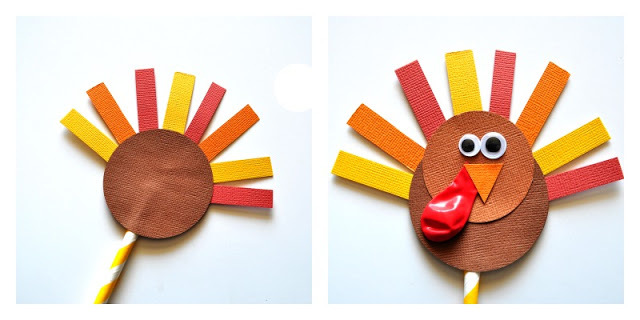 Glue googly eyes onto the turkey face. Cut the end off of your red water balloon and glue it onto the turkey face for the waddle. Now glue the beak onto the turkey. Now slide the cupcake topper into the center of your cupcake. 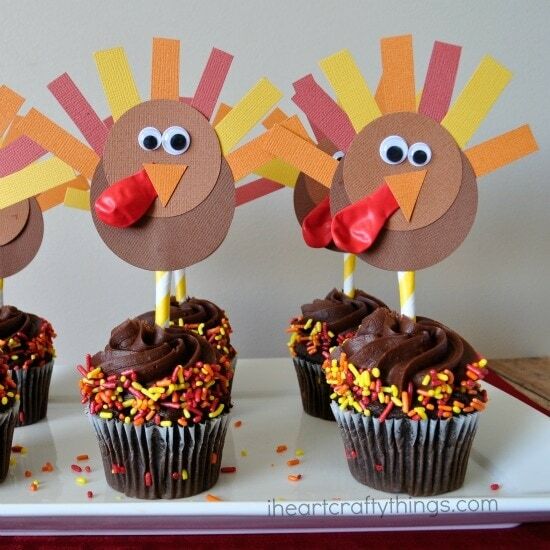 We choose chocolate cupcakes with red, orange and yellow sprinkles to match the overall Thanksgiving/turkey theme. Layer all of your cupcakes onto a tray and all of your guests will oogle over the cuteness! 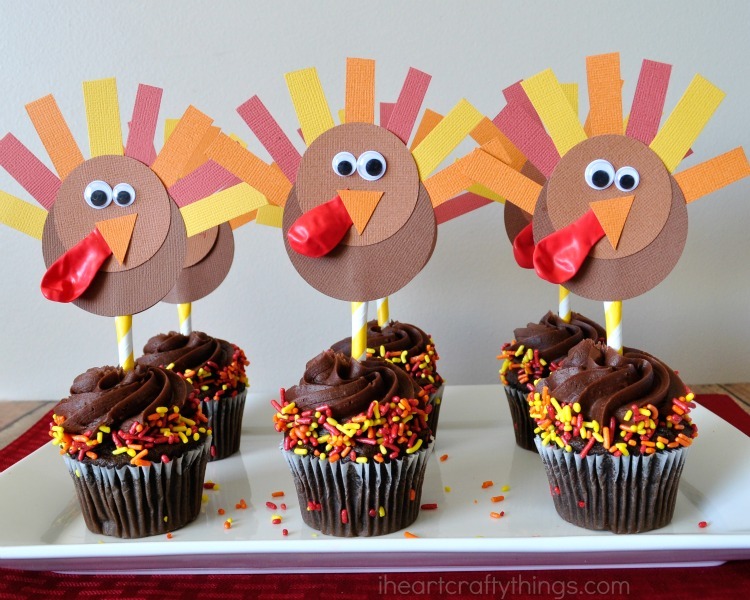 After enjoying the cupcakes, you can wipe the frosting off of the end of the straws and kids can even have fun playing with them as little turkey puppets. Double the fun! !